While it is true that Utah has the fastest growing economy in the country right now, we would be making a mistake if we patted ourselves on the back and said that it had mostly to do with things we had done. We all, collectively as a business community, certainly have had a role to play, but primarily our success has been the result of important decisions and investments that were made years, even decades, before us. In knowing this, we are faced with an extraordinary responsibility to ensure that we, in this generation, make the same kind of forward-thinking decisions and investments that our predecessors made to ensure prosperity for the future generation. One group that certainly has the future generation in its focus is the Utah Community Builders. This newly created 501c3 is affiliated with the Salt Lake Chamber and the brainchild of Clark Ivory, member of the Salt Lake Chamber Board of Directors and president and CEO of Ivory Homes. “What really excites me is that we’re going to have this group, sort of a strike team or task force that can really get after a critical need, something that arises in our community that becomes almost an emergency, and we’ll be able to respond to and come out and unify the business community and really make a difference,” said Ivory. 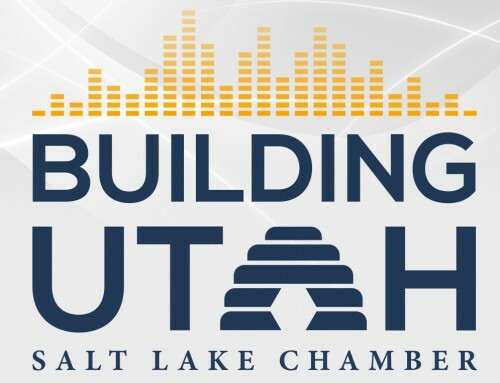 While issues like taxation, regulation, transportation and education are a main focus of the Salt Lake Chamber, the new Utah Community Builders is a response to the growing desire from the business community to create a social impact for good beyond traditional business issues. The Utah Community Builders advisory board is in the research phase, gathering data to find out where the greatest needs are and what actions would have the greatest impact of good. But you can be sure that once this group sets its sights on an issue there will be no stopping these business leaders who are making it their mission to make Utah a better place for all. For more information on the Utah Community Builders, click here.